When I saw the colors from the palette, I knew I need it (ehem…)want it. It would make for a really great plum smokey eye. And that polish would look great in combination with Twilight Night Nail Polish from the Desert Twilight Collection, wouldn’t you agree? Inspired by the play of shadow and light at dusk, this collection has everything you need to transition your look through the seasons. The set includes Hydrating Eye Cream (0.23 oz. 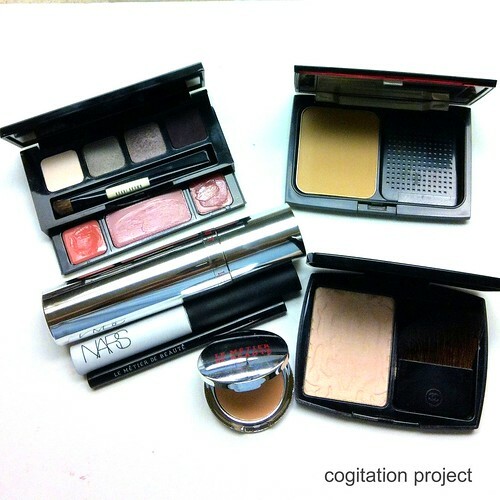 ), a double-decker palette filled with sun-swept shadows, glosses and a cream blush. Plus, Long-Wear Pencil in Jet (0.04 oz.) 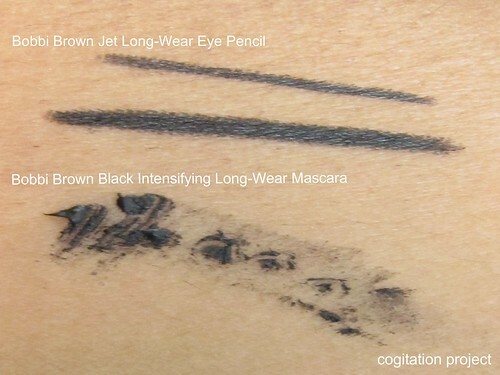 and Intensifying Long-Wear Mascara in Black (0.23 oz.) offer lashes that last. 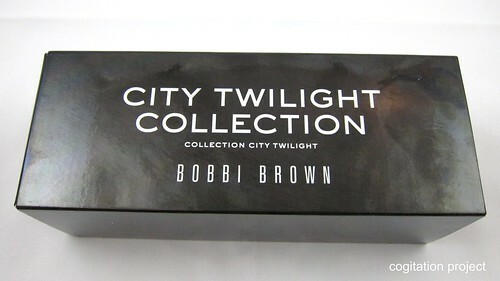 The finishing touch is City Twilight Nail Polish (0.3 oz. ), which makes your fingertips the ultimate accessory. Palette also includes Dual Ended Eye Shadow/Eye Liner Brush. I think the colors in this collection is worthy of nights out in the city. You can actually dress it up or dress it down. And the addition of the eye cream is smart to ensure that the eye area is moisturized to ensure ease in application of makeup. 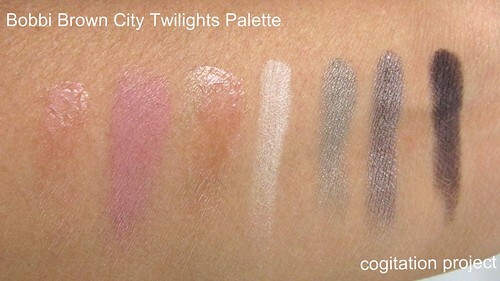 swatches from the City Twilight Palette (from left to right): Pink Beige Lip Gloss, Desert Rose Pot Rouge, Blushed Heather Glitter Lip Gloss, Ivory Eye Shadow, Smokey Haze Metallic Eye Shadow, Heather Dusk Metallic Eye Shadow and Velvet Eye Shadow. 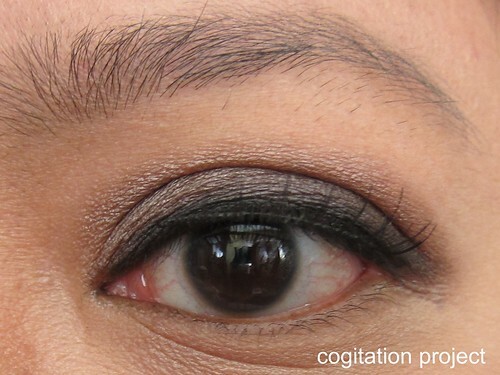 As you can see, the eyeshadows have really good pigmentation. I didn’t like the texture of the Velvet Eye Shadow, it’s very dry but I guess because it’s matte and it comes with the territory of being matte. It is workable though because it is a darker shade and I use it a lot to smudge on the lash line and it’s okay for that purpose. Instead of using mascara, I though of practicing how to put on false eyelashes on myself. It’s not noticeable in this picture but it is really a fail. If you look close on the full face picture you can see it. This is a Nordstrom exclusive collection introduced during the Anniversary Sale. It is still available in some stores (where I got mine) and online for US$80. Ahhh the palette is BEAUTIFUL! 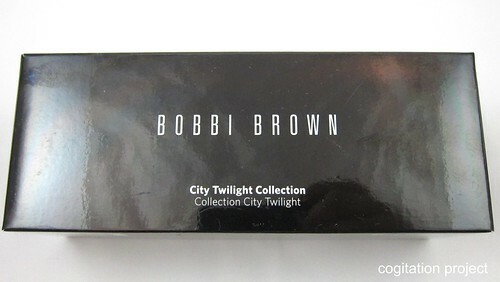 I don’t like the really really sheer shades that can sometimes be found in Bobbi Brown palettes, but this one seems to contain solid, pigmented ones! Must check it out if it’s here at all!